Revisiting the enigmatic nuances of our Culture - Here's the complete Know-How of the Groundhog's Day! Yes, so we're half way through the month of January, and so this gives us the liability to start making plans for the upcoming month - February. Now, do not tell me that we're pretty early, oh come on, being-in-time (and not 'on-time') never really hurt anyone; and most importantly, procrastination is a killer, but not being proactive. So keeping up with that thought, here's our planning for the upcoming event of Groundhog's Day. Oh no, no; we're not talking about the movie. We're talking about the very traditional feast of the same name. In fact, your Billy Murray-and-Andie Mc Dowell-starring super hit flick is based on the events of this very same festival day celebration. And honestly, this Hollywood movie did a great amount of goodwill in spreading and popularizing this tradition of Groundhog Day. So, why not get some information about Groundhog Day? After all, it pays to be learned and well-informed, right? Okay, so we begin this erudite journey (Guys, did you notice, how many times I use the word 'erudite' in our Best Brains posts? Well, you do notice? Wow! Seems like you're really memorizing and learning things pretty well through our Best Brains medium. That is wonderful!). So, now first, let’s discuss this – what does Groundhog Day really mean? What is its significance? 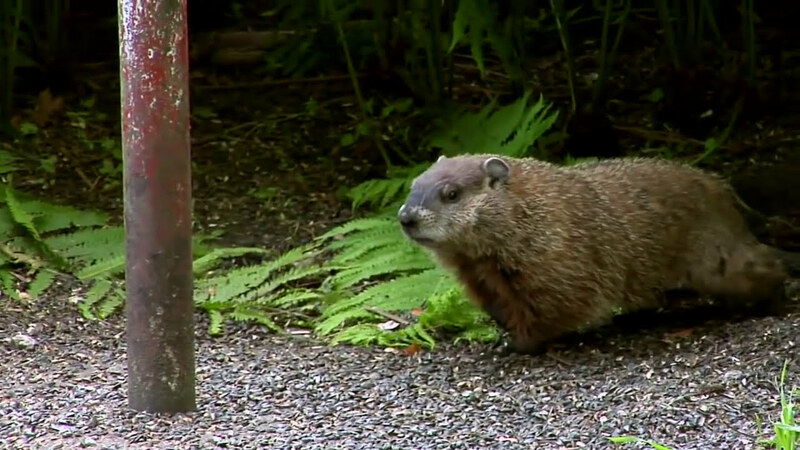 Groundhog Day, as the name suggests, relates to the common underground-living animal we know of the same name. Every year on the 2nd of February, as per most communities following this tradition, Groundhog Day is celebrated with great pomp and show. At an age, where the weather man is also considered pretty old-fashioned, thanks to the advent of super technology, here we have this lovely feast that celebrates nature in all its simplicity and ethnicity. Yes, that is the true beauty of this day. 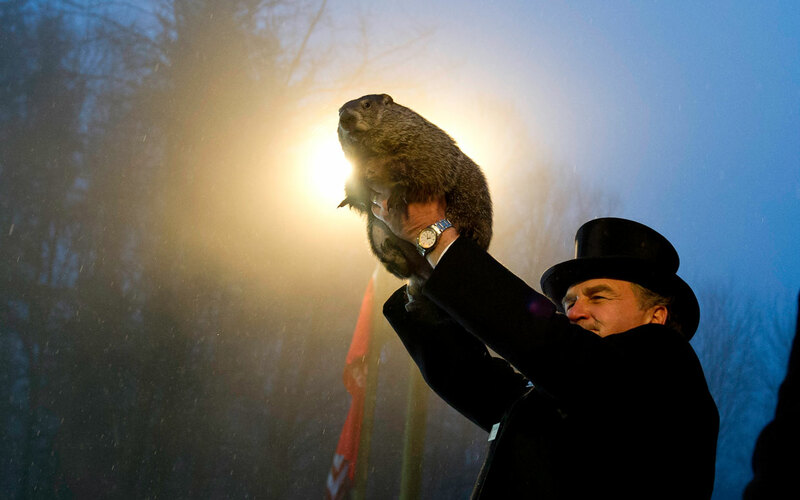 Historically, Groundhog Day is celebrated to mark a very important tradition. 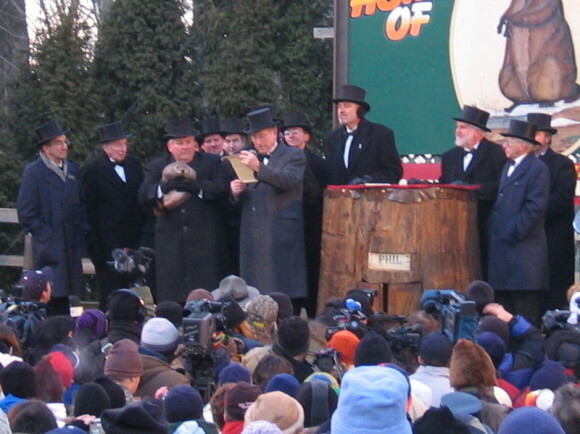 Groundhog Day began around 1887 in Punxsutawney. However, its roots go back hundreds and even thousands of years. The feast has origins in the ancient Celtic festival of Imbolc, which was held on Feb. 1 or 2, halfway between the Winter Solstice (the solstice at midwinter, at the time of the shortest day of the year) and the Spring Equinox (the time when the sun crosses the plane of the earth's equator, making night and day of approximately equal length all over the earth and occurring about March 21). Imbolc was a festival for the coming spring and often featured primitive meteorology in an attempt to predict or control how quickly spring arrived. Originally, Candlemas Day was celebrated as part of the traditional holiday that involved lighting candles and marked the mid-season duration. This age-old ritual belonged to the Christian culture and took place in Europe. With time, Germans brought it to America and now this festival became the Groundhog Day! Seriously folks, the world is really a small place, isn’t it? Reportedly, ancient Europeans used hedgehog in their celebrations, but when the Germans brought this festival to Pennsylvania, they switched to groundhog because they thought that it would be the most ‘intelligent’ and ‘sensible’ creature to complete this task. So what does groundhog really do in this endeavor? Well, honestly, he is the hero of the whole festival. It is so because when the groundhog comes out of his burrow and if he casts his shadow, then he predicts that Spring is delayed by another six weeks; on the flip side, if he finds it cloudy, then he predicts that Spring is around the corner. 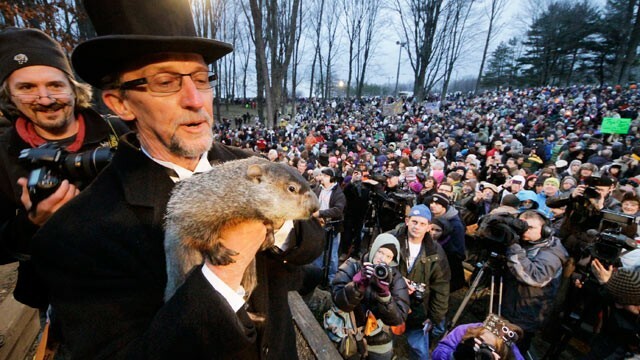 Therefore, Mr. Phil – the chief groundhog who summons this event – is the major weatherman or weather predictor for the folklore. He is indeed the world’s most famous and sort-after groundhog. Even though Mr. Phil goes all out on Feb 2nd each year to give away his weather predictions, his forecasts have been only 39% accurate. So is this entire pompous celebration revolving around the groundhog’s prognosis (guys, time to reach out for your dictionary) merely a fuss? We cannot really raise eyebrows because the chief officials have a different story to tell. The Groundhog officials claim that the animal’s predictions have always been 100% authentic. Umm… really? According to insiders, Phil the groundhog is prophesying the outcomes of spring for the past 125 odd years. And he is able to survive each passing year and make his weather forecasts because of the Elixir of Life. This magic potion does its part in bestowing immortality to the groundhog. The official site of Groundhog Day reads, “Phil takes one sip every summer at the Groundhog Picnic.” It further adds that the drink’s magical properties keep him alive for seven more years at a time. Now, that is great, really great! So, my little buddies, this is the utterly fascinating story behind the annual Groundhog Day celebrations. Do catch up this year if you stay in and around Punxsutawney, Pennsylvania. Come and celebrate the 130th year of Groundhog Day at Gobbler's Knob, Tuesday, February 2nd, 2016. Otherwise, in case you stay far away then make sure to watch the whole action on TV and be part of this magnificent and historic festivity! Regardless of anything, it is a celebration of tradition that marries a hell lot of fun! Long live Phil, long live Groundhog Day!